I understand that learning Chinese can be a frequent switch between these 2 feelings. Well, this book is designed to assist you on your journey to learn the most intimidating skill in the Mandarin Chinese language: writing. Let me be upfront with you: unless you're some kind of genius, in my experience as a native Chinese and as a Chinese language teacher there are absolutely no shortcuts. You can only learn writing Chinese by writing, pen on paper, once, twice, again and again, not only for the sake of practicing, but for communicating as well. Writing short paragraphs describing your daily activities, for example, are unbeatable. Many of us don't want to hear this, perhaps because we’ve already been through this strenuous process to learn writing in our native language, and although successful, we try to avoid going through it again. 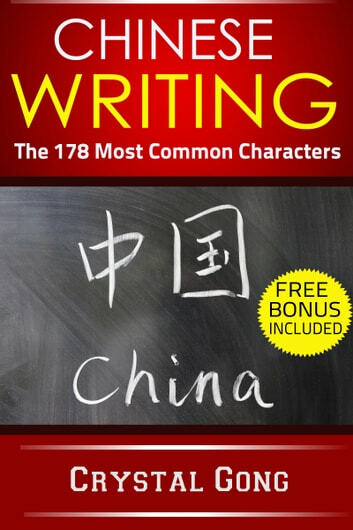 However, there are ways to make this task easier, and “Chinese Writing” will introduce 178 of the most frequently used characters organized by their 75 radicals, and 287 highly frequently used words that can be written with these characters, making your study experience very practical. It's perfectly suited to be used both as a study guide and as a reference. - Free bonus included: access to a set of worksheets you can print out at home, to practice writing the characters and develop your hand motor memory. Whether you're in need of becoming or simply want to be proficient in writing in Chinese, this book is a great choice.